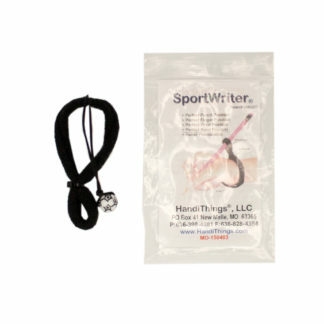 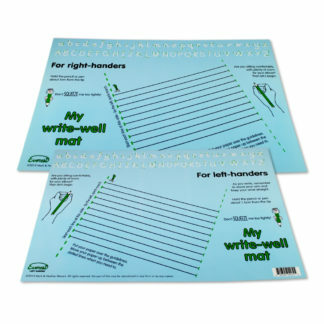 Writewell Mat (Blue) Right and Left handed. 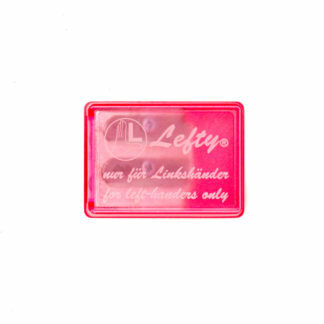 Left-handed on one side, right-handed on the reverse! 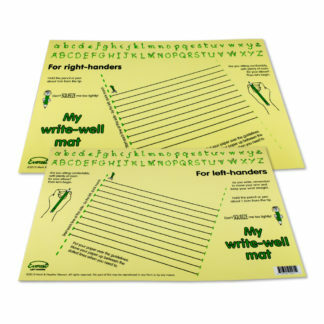 The Writewell Mat is designed to help children develop their handwriting skills, the mat contains the detailed upper and lower case alphabet, and gives easy to read guidelines for left handed children. The mat also contains information for right handed children on the reverse. The blue colour of this mat is found to be helpful for some dyslexic students or those with visual stress. 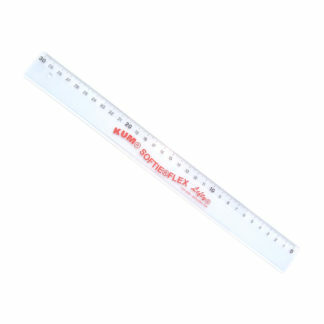 Please note: Colour may vary slightly from the image on the web site.